The Shyden Tavern is a well known and historic tavern established approximately 100 years ago by cowboys. Duels were often held here by the cowboys, but only on one occasion did someone get mortally wounded. It is said that the ghost of the murdered fellow haunts the bar to this day; he is simply called "The Shyden Tavern Ghost." Allegedly, the ghost has been reported to lift plates, switch orders, and on one occasion, it was said that a customer's beer was replaced with urine. After about 50 years, the bar was renovated to include a seated restaurant area. Increasing the popularity of the bar, it soon gained household fame as one of the best bars in Advent. The bar's signature drink is the "Shyden Wine," a recipe passed down from generations of the local brewery. It is a tasty and full body wine that known for its quickly intoxicating effects. 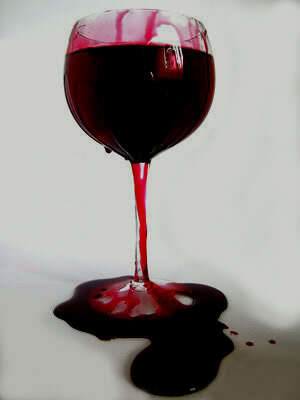 Although, when a vampire asks for this wine, they are served a special edition of it: blood. This is unknown to most, since Shyden Wine and the blood have the same colour and body. It is possible that this was done purposefully so that it was easier for vampires to aquire blood back when the bar was established. Recently a fight club has been secretly established under the tavern. It is a place for people to gamble on and participate in fights for the sake of recreation. It is of course an underground operation and is invitation-only, with a "don't ask, don't tell" policy. Some people say they see the ghost of Shyden tavern in the circle to fight sometimes, causing speculation that the murdered cowboy was a brawler before his death.